So lovely, Cindy. The absorption of a small child in a simple thing is so beautiful. As you know, children learn from the bottom up – having limited experience to refer back to, they see with uncluttered eyes and accept what is, without judgement – a very light encounter. If we approach the world as children, perhaps we too will become enlightened. I LOVE your expression, “simplicity ignorant.” Wow – what a great expression. Thank you for such a thought-provoking marriage of words. Why is it that only children look at everything with innocent eyes., while we co-called adults have to squint so hard to really ‘see’ anything?! Is ignorance really synonymous with adulthood? Why are we all so hellbent on inviting trouble upon ourselves, rather than be the same little children we once used to be?! Thanks for this gentle reminder! We need it! Try looking at a piece of grass without naming it and categorizing it: green, leaf, lawn, mower, fertilizer, picnic, sprinkler, bare feet, etc. Or look at anything around you and try to do the same. You can’t. Unless you have brain damage, it’s impossible for your brain cells not to fire in recognition and make connections between dendrites. Unless of course, you have brain damage or late-stage disease like Alzheimers. 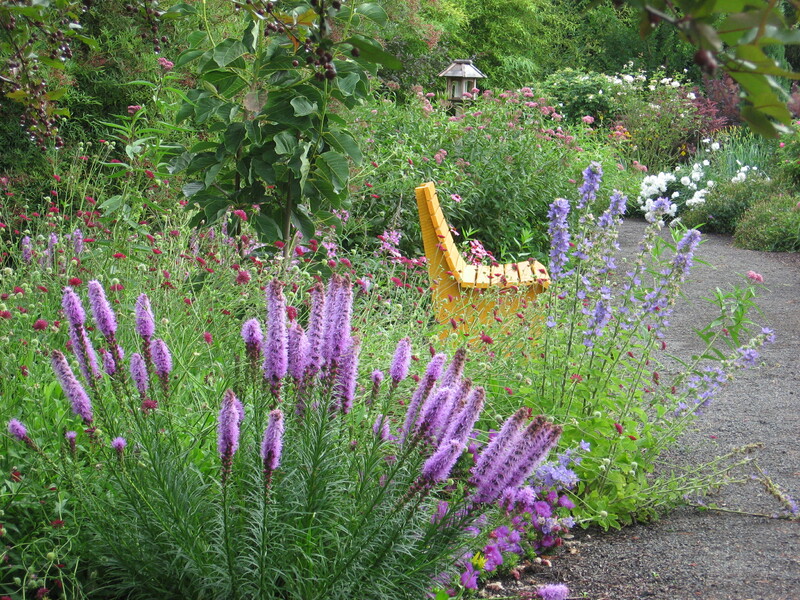 With years of meditation some buddhists claim they can discipline their minds to quiet the nosie of chatter. But you and me are writers. We need the connections, the clutter, the noise. Luckily, we can imagine our minds when images were less attached to thoughts and we can write about the attributes of simple innocense as if it were attainable. 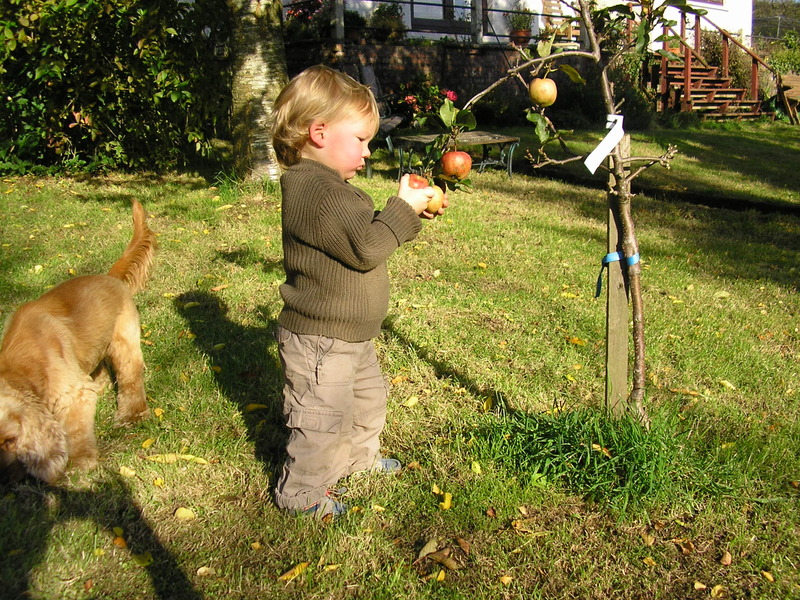 When I took this photo I saw only a snapshot of our much loved grandson helping to harvest the apples. Thankyou for opening my eyes to see so much more. Your writing is beautiful, you convey so much with so few words. Thanks, Barbara. I appreciate your comments so much and am happy you found another source of joy in his lovely little face.